Carl Ferdinand Pfeifer, 85, a retired Navy captain who survived the attack on Pearl Harbor and who later lived in McLean and was a volunteer with the Smithsonian Institution's naval history section, died May 12, 2001, at Charlotte Hall Veterans Home of hydrocephaly. 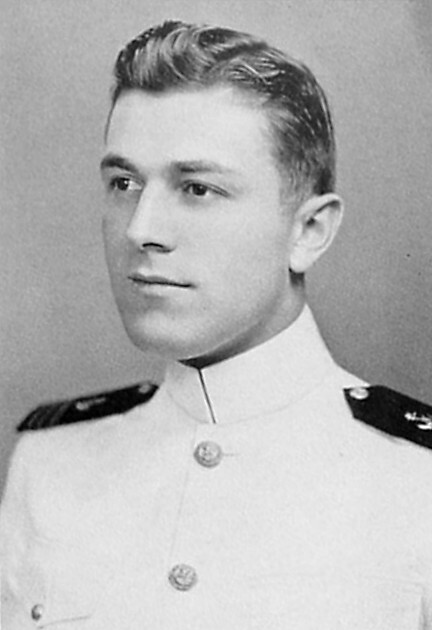 Captain Pfeifer, a native of Springfield, Ohio, was a 1939 graduate of the U.S. Naval Academy. He was aboard the destroyer USS Cummings during the Japanese attack. He served on ships in the Pacific during World War II and later commanded USS Cassin Young. He won a Silver Star and twice earned the Legion of Merit. He lived in the Washington area in the late 1940s and served as a naval aide to the White House during the Truman and Eisenhower administrations. He commanded ships in the Pacific during the Korean War and was based in Saigon in the 1960s during the Vietnam War. He returned to the Washington area in the late 1960s, when he was inspector general for the Navy's Military Sea Transportation Service. He retired in 1968 and worked from 1974 to 1983 as a data management analyst in the Crystal City offices of Raytheon Corp. He volunteered at the Smithsonian from the 1980s to the 1990s. Capt. Pfeifer lived in Faifax and Clifton before moving to McLean in 1991. He was an usher at St. John's Episcopal Church there and was a member of the Naval Academy Alumni Association and the Pearl Harbor Survivors Association. His marriage to Dorothy Dowling ended in divorce. Survivors include his wife of 15 years, Mary Louise Whitmire Pfeifer of McLean and a stepdaughter, Elizabeth Chase Peabody of McLean. Of Falls Church, VA, after an extended illness, on Saturday, May 12, 2001. Beloved husband of Mary Louise Whitmire Pfeifer and step father of Elizabeth Chase Peabody. Memorial services will be held at Fort Myer Old Post Chapel on Thursday, June 14 at 1 p.m. Interment Arlington National Cemetery. In lieu of flowers the family suggest contributions to the U. S. Naval Academy, Attn: Tia Taylor, 291 Wood Rd., Annapolis, MD 21403.